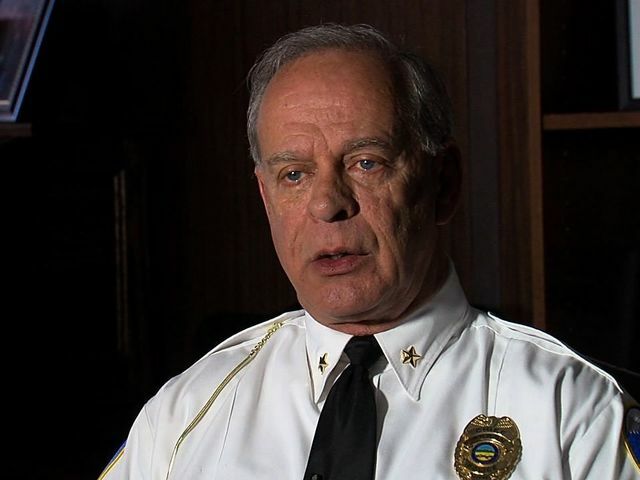 Akron police chief James Nice sat down with newsnet5.com's Bob Jones in an exclusive interview Wednesday, saying the department is determined to solve the recent murder of a student at a local pizza shop. Nice said he has officers working around the clock to figure out who killed 21-year-old Zakareia Husein, an employee of the store and a University of Akron student. Husein was fatally shot during a robbery at Premium New York Style Pizza around 10 p.m. Monday night. RELATED | Akron pizza shop murder witness: "We didn't know he was going to shoot"
Police are still looking for his killer, but Nice said they have received about 10 tips following the release of surveillance video from inside the shop. Detectives are working to enhance that video, as well as analyze shell casings found at the scene. Regarding the gender of the shooter, police still aren't sure. "There have been people that have talked about whether it is a man or whether it is a woman," said Nice. "We couldn't tell you for sure whether it is or whether it isn't." And while the murderer is on the run, police believe the threat of further violence is still out there. "I'm very fearful," Nice told newsnet5.com. "I hate to say that. I don't want to send a fear message out there, but this person has shown that they're willing to rob and then continue to rob and now we have a homicide." Residents are encouraged to continue to submit tips to Summit County Crimestoppers at 330-434-COPS. Crimestoppers usually offers a reward up to $2,000 for information on unsolved cases. However, in this incident, the organization is willing to pay much more for information that leads to an arrest and indictment. The family also told newsnet5.com that they are offering an additional $50,000 reward for the arrest and conviction of Husein's killer.